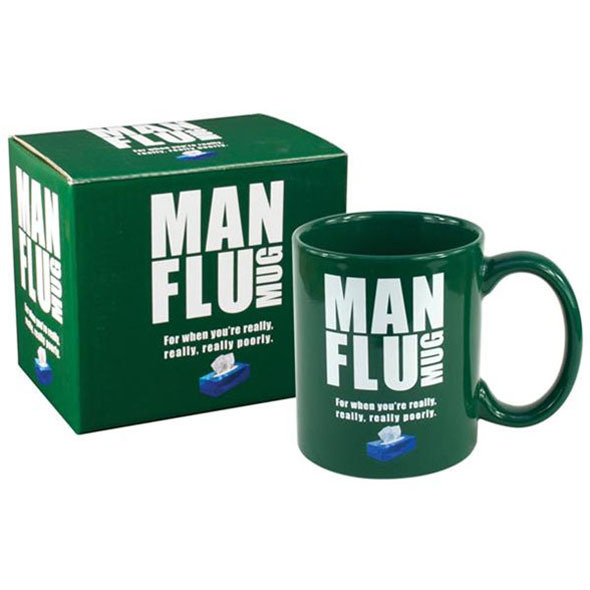 The Man Flu Mug is a fantastic novelty mug which makes a great gift idea! This funny mug is the perfect present for a hypochondriac friend. If you have a man friend who struggles with the sniffles, grab this hilarious mug as a gift idea or perhaps a not so subtle way of telling them they're always moaning! Text says "for when you're really, really poorly"
The common cold is an unfortunate illness we must all deal with. However, it is universally known that when the exact same illness strikes any man, it is approximately 10 billion times worse than any cold which has ever been experienced by any woman. Ever. 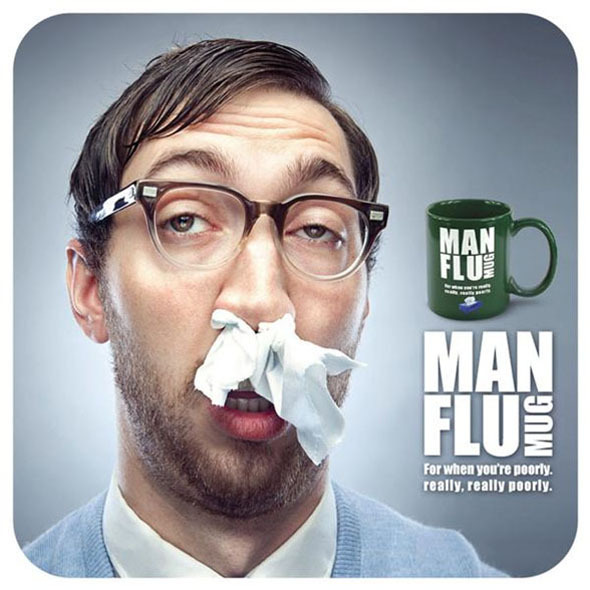 This unfortunate curse has been titled 'Man Flu', and it is a very real epidemic on planet earth. For times when you're brutally struck down by this chronic illness, you need as much sympathy as possible. If you can muster the energy, it also helps to moan about how ill you are through muffled sniffles approximately every two and a half minutes. One way of guaranteeing sympathy is parading this beautiful Man Flu Mug around, filled with the toxic gunge cleverly marketed as 'Lemsip', or hot squash and honey just like mama used to make you. Alternatively, we've all got that one mate who absolutely loves a moan. The ultimate hypochondriac, this guy is the fun sponge of your group - sucking up anything good in the atmosphere. Often, we are afraid of upsetting these precious pals, so why not say what you're all dying to say in a funny mug form? Gifting this green mug is a polite (and funny) way of saying "man up, mate", and it gets you out of thinking of a more inventive game. Everyone's a winner, baby.